As a person that makes part of her living while living on the internet, it seems like lately there has been a lot of negativity surrounding current events. It is easy to get swept up in it and involved or just turn it all off. I find the best way for me to cope with pretty much anything going on, whether it is personal issues, issues outside of my immediate life that still affect me or just a general vibe going on is to shift my focus back to gratitude. It is such a powerful tool. Shifting back to gratitude takes continual effort and with practice you can see yourself progress. Let’s think about progress for a moment. At one time people lived without electricity and automobiles. There were few machines to take the strain out of labor. Higher education was a rarity. And communication between one another was limited and slow. All that, and much more, has changed a great deal. As we progress from year to year we also experience social change. Social change has meaning when we realize we have built our strengths based upon a wisdom and goodwill inherent in mankind. I believe most people really are good. We as a people have many more similarities with one another than we have differences. We all want the same basic rights and opportunities to be secure and happy. As our ancestors made great events happen, we also are empowered to bring about change for the better. The holidays are a great time to acknowledge our potential and express our gratitude, and think about ways to improve the world. Some people think the world is becoming a worse place than it once was. If they express that view to you, ask them what they are doing to improve it. If they say they cannot do anything about it, one of the reasons they feel that way is because they fail to experience gratitude. They are dis-empowering themselves. Let’s keep the focus on all the good in the world while still tenderly acknowledging the tragic and unfortunate events. We not only reap what we sow, we mostly receive what we expect. We learn best, and enjoy the process, when we approach our tasks with determination rooted in gratitude. The power of positive affirmations drives humanity forward. Repeat after me: “I love and approve of myself. I am grateful for the person I am. I am grateful for today.” Saying that out loud in front of a mirror even has a powerful effect. It is hard to take care of others if you do not love and approve of yourself first. Today, I want you to be grateful first for you. Life can be messy. Being a person some days can be really hard but it is also OK to be happy, grateful, thankful, and to enjoy your blessings while also working to better your life and at the same time, help others. If we perform good works, we will be successful and happy. We can show gratitude by caring for others. We gain a better understanding of ourselves when we empathize with others. The holidays are a time for charity. The quality of our life is closely linked to that of our neighbor’s. We are all related to each other in untold ways so we should recognize our core beliefs. This holiday season, for every negative thought that enters your head, acknowledge it, and replace it with two positive ones. Abandon your self-defeating habits and work to replace them with positive ones and most importantly, give freely of your love for others. You are enough. Stop thinking of what could go wrong and try to focus on what could go right. Passionate collectors of all kinds have taught me some vital lessons about success and motivation that I would like to share with you, especially from my doll collectors. Over the years, I have seen that when my doll collectors want something, they GO FOR IT. They get their minds fixed on something and nothing can stop them. They figure out any way to make it happen. They might call the doll shop 15 times and finagle thirteen ways to get the doll paid for but when they know they need that particular doll, they go for it and nothing can stop them. Sometimes it seems obsessive – and it is, but it isn’t lacking passion. I like that about them. I once had a company I work for tell me that one of my best qualities was that I was obsessive about my work. I took it as a compliment. Have you felt a need to do something new or different in order to add interest or meaning to your life? If you have, give the thought your full attention. Has it been nagging at you for weeks, months, or even years? Why not explore it. Give it a go. Your initial idea may not work, but it’s better to try something than to live life with lingering regrets. When we experience failure we usually gain some essential insight about ourselves. The feeling of failure is short lived, but the lessons we learn become vital tools for solving new tasks. The small price we pay is insignificant to what we gain. I have fallen flat on my face probably more times than I can count (and could tell you stories that would curl the paint on the walls) but each time, I gave myself a moment (or two or three) of self-pity and then figured out a different approach. Life really is about moving on and learning. We need our mistakes to learn. Most people have felt a need to try something and dream about it. Is it weight loss? Is it a college degree that you have always wanted to get? Or it is learning to cook a peach pie from scratch? Sometimes it’s easy to look at successful people and think they must have something you don’t have. Not so. High achievers are not radically different from most people. High achievers differ in one critical respect. High achievers are those who follow up their dreams with actions. Their confidence grows as they meet their goals. Getting started is sometimes the hardest part of doing something. Many people have entertained an idea of doing something for years and never take the first steps. They make excuses why they can’t accomplish goals. High achievers delve deep into their interests. Learn everything you can about what you want to do. What are you interested in? What excites you? Dolls, music, building things? You don’t need money to get started either. Want to bake? Get on YouTube and learn how to do it. What you do doesn’t have to make money but it does have to benefit you or someone else. Don’t worry about the limits and the hard work and long hours necessary to achieve a goal because those are debilitating sentiments. Use positive self-talk. YOU are your biggest motivator. Take the first steps. Actions channel energy and positive thinking. OK – right now, out loud, name for me five things that you are able to do now. Can you think of five things right now that you DO? Not things that you are, (eg, nice, loving, dependable) but what you do. Was it hard to think of five things? Then it’s time to get started. What’s next? Here’s an important truth to keep in mind. Loving what you do turns work into pleasure. Don’t accept it on anyone’s word alone. Try it and test it. Learn as much as you can about your goal and be yourself. Break your work up into small steps. Reward yourself for each milestone you reach. You don’t have to love your work all the time. Nobody really does. There are hard days. I have an 80/20 rule in work, life, love. If I am happy 80% of the time, that is pretty damn good in my book. We all have our moment of "what the heck am I doing?! AHHHH." That is natural and human. Be human. Be flawed. Be eager for more. Takeaway: Get started now. Those who postpone their dreams seldom achieve them. Your success will prove that you really are the high achiever you secretly dream you may be. Be your biggest cheerleader and motivate your friends. Be happy for their victories and support them in dark times. Be the person you wish you had when you were younger for friends and especially, for yourself. Last month, I received a hand written letter from Fred. He wrote to me to say that he appreciates my articles every month and looks forward to them and that he is a longtime friend of my mother from back in the days of doing shows at the Denver Merchandise Mart. How neat it was to open a real letter – with ink and a stamp. To be honest, it had been awhile since I received one of those. Handwritten thank-you notes express heartfelt appreciation. A handwritten note congratulating someone on a promotion or an honor is a nice way to recognize someone’s devotion, hard work, and talent. Hand written letters are one of my favorite things to send and receive. Really great stationery is also a guilty pleasure of mine. I love a fantastic card and pen to write on it with. When I find beautiful stationery – covered with whimsical images of my favorite things like English bulldogs, beautiful floral arrangements, or perfectly daring jokes for my friends, I always snap them up. As a person that sends and receives hundreds of emails throughout the week, I believe email is a great technological tool, but the e-mail lacks “personality.” A handwritten letter is more intimate. The letter-writer learns the art of handwriting. The recipient of a handwritten letter sees something of the character of the writer in the handwriting. Writing by hand with a pen can be quite rewarding. Did you know that some professional authors still write by hand? Hand movements help thinking. I take all my notes by hand. I challenge you this month to write a letter to someone outdoors. It doesn’t matter where you are, just try it – at the beach or from your back yard. When we are at the seashore enjoying the sunshine, breathing the fresh air, and hearing the waves break, we can directly convey the experience with pen and paper to our family and friends. We can also convey the beauty of the mountains and woods in letters. Something of every environment and season fills us with ideas and perfumes the very paper we write on. Letter writing is an art. Think about the beauty of handwritten letters. Do you have some from a past love or ones that were passed down in your family? Letters are often saved for many years. Some letters have been kept for hundreds of years. Have you ever opened an old book to see a handwritten letter fall out? Few people can resist reading a handwritten letter or card. Antique collectors buy and sell postcards and often find much pleasure in the handwritten messages they carry. We all appreciate a handwritten letter. Why? Perhaps because in this day and age, it requires a bit more planning. One must purchase a letter, stop to write it, put on a stamp, and mail it. This month, my column is dedicated to Fred. Keep up the letter writing, Fred. When I was seven at my mother’s antique store, she would sometimes let me in the front of her lawn to water the grass and flowers. I really loved doing that because the hose had one of those spray nozzles that had tremendous reach. One day, a man was coming in the store and I (here is where the story gets a little fuzzy) either intentionally sprayed him or accidentally sprayed him but either way, the man was drenched in water. He furiously marched into the store and told my mother and she came outside and told me that “Rachel Grace Marie Hoffman! We don’t hose down our customers!” and she and I apologized both up and down to the man and my mother helped dry him off. In her haste to rectify the situation, she didn’t take me inside and when the man left the store, I sprayed him again. Not much has changed since then but I have learned that it is not appropriate to spray customers with a hose. If you are the man I sprayed 22 years ago and you are reading this, please accept my sincere apologies and know that if you ever come back into the antique shop on South Broadway, the only water I will be offering you now is the cold bottled kind. I grew up in my mothers’ antique store on South Broadway. I was fortunate enough to grow up surrounded by wonderful things at a young age and so, I wasn’t afraid of them when I was older. I grew up sitting on antique Windsor chairs, using Haviland china, and playing with antique dolls. Yep, this is me with that impish smile. I actually found this outfit I was wearing in the shop a coupe months ago. So often in my practice, I come across things that “have been in a box or attic for the last 40 years” because of good intentions of not wanting to break the item or I hear “I was not allowed to touch or play with this doll because it was a special one.” Using your things and taking good care of them is a great experience for all people – especially young people. It also doesn’t hurt them. So many things today are disposable – plates, napkins, toys, even furniture. It’s important to remember that with antiques, they have already stood the test of time and with proper care, will do for another hundred years. If you have a set of china packed away from Grandma, I encourage you to use it. Eating off nice plates and using sterling silver forks and spoons really elevates the “everyday experience” to a special one. Try it, you will see what I mean. Properly cared for, you can continue to enjoy your items for generations. Antiques of all kinds are another way of traveling. We learn of different lives and times or if the items are family heirlooms, we learn about generations before us and keep their significance alive. Think about something you have tucked away out of sight and this week, take it out and use it. Shoot me a picture of your dinner on china or your tea party with those special teacups that haven’t see the light of day in a long time. Or, if you don’t have any but want to start some traditions, I will see you soon on Antique Row, where you are bound to find a treasure! The antiques, whole fabulous to look at, are not meant to be tucked away. They are meant to be enjoyed and used for what they were made for when they were originally manufactured. They are screaming to come out! When you think of the word “antique” – is it daunting? I know it was for me when I started in the antique industry. There are so many kinds of antiques and so much to learn – it was completely overwhelming. I can see why a lot of young people just buy new, it’s easier and less confusing, but is it better? I see a lot of reproductions of antiques in the mall. There is an upscale store in the mall that I once worked in and during my breaks, I would shop around and be amazed at the price of the reproduction Asian sideboards, with their faux patina of 100’s of “years” – and reproduction antique décor – they were also MORE than the price of the real thing that I knew was down on Antique Row in Denver, Colorado. Are you secretly interested in antiques but don’t know where to start? Here’s a great tip that someone really smart in the industry told me one day and it changed everything for me. When you look at something that you are going to potentially collect, look at it and take away in your mind the fact that it is an antique. Just look at it – do you like it? You have to like it. REALLY like it. Antiques (and vintage items) are kind of like real human friends in your life. If it brings you joy and stirs your imagination and makes you feel good just by looking and thinking about it, you have found something really good to have in your life. We appreciate and collect antiques for many reasons. Some of us appreciate most the fact that antiques increase in values over time. Some of us collect antiques for the pleasure of finding them, the thrill of the hunt. Some feel pride in owning and preserving them for the future. And we all value the sense of belonging to a group with a common interest in antiques. Going to conventions and trade shows and being surrounded by people with similar interests is really fun. Antiques are a living record of the values of past generations. We are amazed how old objects were once designed, crafted, manufactured, distributed, sold, and used. The skill and devotion of craftsmen at work in workshops and cottage industries inspire a love of antique objects. The satisfaction an old object brought someone fifty or a hundred, or even several hundred years ago comes alive. Things just aren’t made today like they once were. What is an “antique?” In the industry, we consider the word antique appropriate to apply to anything over 100 years of age. There are so many kinds of antiques. Some are focal points of living spaces and some become unearthed after long periods of time – like found in a trunk in an attic. Looking upon an old object that was stored away decades ago and forgotten and seeing it once again stirs our imagination. As an appraiser, we can sense the tenderness ancestors had in saving something for many generations. We experience what they felt long ago and recognize the universality of the human condition. Antiques sometimes suffer a cruel fate, but they often have an uncanny power to survive the misfortunes of time – and that is one of the things I love about them. We see the beauty of an object hidden beneath the dirt accumulating for years. I work in a doll shop and sometimes, the most fantastic dolls come to me covered in dirt – and the person bringing them in thinks this decreases their value. Sometimes a gentle cleaning will restore antiques (and dolls) to a very good condition – they look fresh and “new.” There’s no denying that it’s love at work saving antiques. The pleasure of collecting antiques often derives from personal experience and is enhanced in many ways over time. A person may have a fond memory for an object and attempt to find it in an antique shop. The sought after object may actually awaken an interest in a more general area. For example, in my industry, we help a lot of people find dolls they once had. Discovering that favorite doll you once owned as a child only to realize the significant role the doll played helping to look forward to a better future and preparing for it. 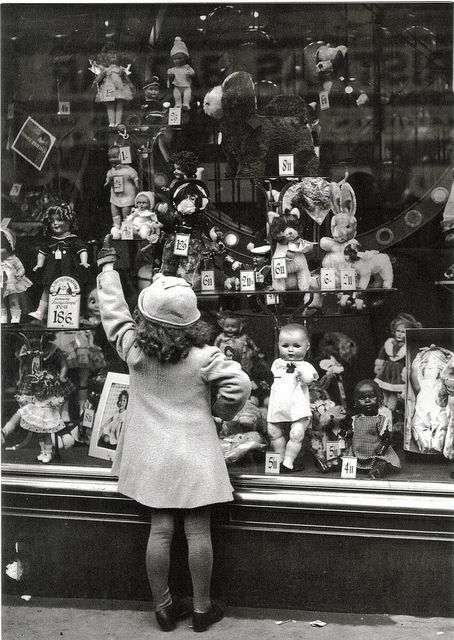 Remembering all the adventures you had with that doll, all the rough times the doll saw through with you. We now see the importance of dolls in society. 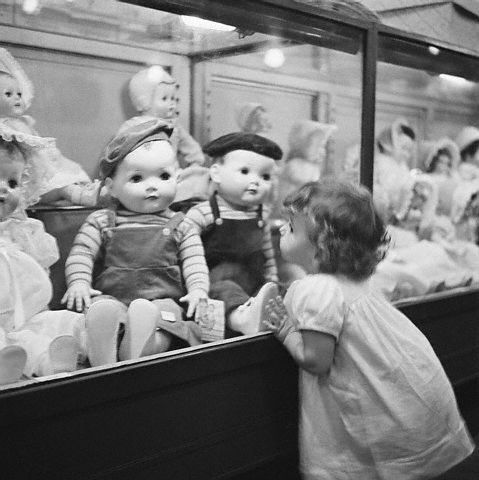 This often ignites in people the love of doll collecting and they then decide to become a collector of dolls, visiting doll museums, reading books about dolls, and joining doll clubs. Anything I can do as a young professional in this industry to enhance this enthusiasm, I do. One of the best things about collecting is sharing your collections with others. Generous collectors lend their collections to museums for special exhibits or special events within in their home. This is one of the greatest gifts you can give – sharing your passion with others. Collectors are the keepers of family legends, learning the stories about and the provenance of what they have. Antique collectors often bring others as much joy as they themselves experience in the hunt for the precious and rare old objects. I encourage you to think about what you love. What having around you makes you feel GOOD and start there. As you collect pieces of information and objects, keep your heart open to possibility. Those moments when you find a treasure that speaks to you are very special. As you collect, think about the reasons why you like that certain piece. Remember, in life, none of us own something really special – we just take care of them for a while. WHAT'S THE DIFFERENCE BETWEEN AN APPRAISAL AND AN OFFER? As an appraiser that also works in the retail antique industry, the subject of what an “appraisal” is comes up a lot. I find that in my retail store, Turn of the Century Antiques on Antique Row, people come in or even email me quite often asking for an appraisal for their item. Here is an example of the different ways that an opinion of value can go for that same silver flatware set. I will go with three different scenarios: fair market value, insurance value, and offer to buy. Fair Market Value: what the item would SELL for TODAy between a willing buyer and a willing seller, knowing all the relevant facts with no compulsion to buy or sell on say, a random Tuesday. This is the amount of CASH someone would spend today for a gently used set of flatware. This number would be around $3,500 for the Wallace Grande Baroque sterling set on the secondary market. Replacement Value New: to insure the item and keep it in your home and the value would protect you in case of damage and you might have to replace it new. This number would be around $8,500 to REPLACE the 42 piece Grande Baroque set. Offer to buy: Here is where things get sticky. I don’t wear my appraiser hat and dealer hats at the same time – ever. If someone wants an appraisal report, then I am wearing my appraiser hat and give them a true, unbiased report, with no intention to ever purchase the item. If someone wants to sell me something that I have to turn around and sell myself, I am now a dealer, not an appraiser. An honest dealer with overhead will generally offer you around half of what the fair market value is. This leaves them room for profit and the costs associated with selling the item such as running a brick and mortar store with employees or booth rent at an antique show. So for our scenario, it would be around half of $3,500 – so the offer to buy would be around $1,750.00 – $2,000.00 depending on the condition of the set. It always amuses me when customers ask me if I will pay them the same amount for their like item as I have mine priced in my own shop and I know it’s because a lot of people don’t understand and I simply explain it. LET'S RECAP THAT WALLACE 42 PIECE GRAND BAROQUE SET. Fair Market Value: $3,500.00 – what it would sell for Today on the secondary market in my shop. Replacement Value New: $8,500.00 – what you would to replace the whole set, brand new. Offer to buy: $1,750.00 – what I would pay you for ask from an insurance company your item and then turn around and sell it for the fair market value listed above. If you are wanting to sell your item, just do your homework first. That homework can be hiring someone to appraise your items and give you fair market values. If you have a lot of items, this knowledge is very important for you to have. As long as you know the tentative fair market value of your item, you can decide to sell it for an honest offer, which to a dealer, is going to be around 40-50% of the general selling price to the public or a collector. If you want the very highest price for your item, you will want to sell it yourself to the collector – which is hard. Dealers are networked in with the consumers so a lot of times, it’s just easier and less dramatic to sell to a dealer and be done with it. They can get higher prices than you can but they also have a lot of costs associated with getting that price. If you are computer savvy, you might be able to list the item on eBay or another website but keep in mind, you have to pay commissions to those sites. Hopefully this helped clear up some of the crossed wires that happen a lot in our industry. As long as you know all of the facts, you can feel good about your decision and the role of the appraiser and dealer is to be honest and let you know the facts. Several times a year, I donate my time and expertise to local museums as part of an “Antiques Roadshow” type of event for fundraisers. Recently, I did one for the Aurora History Museum.